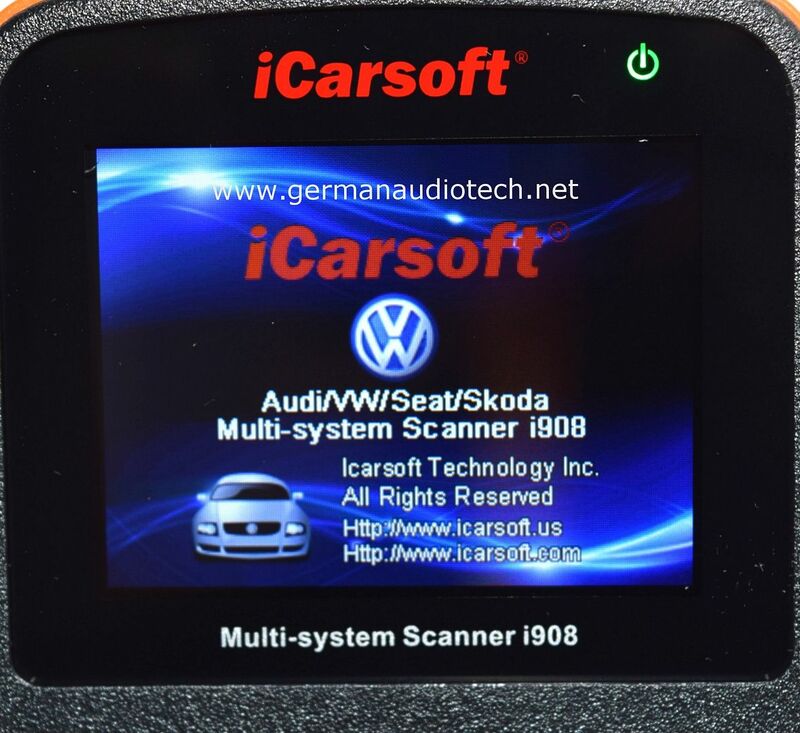 This is your opportunity to purchase (1) Brand New iCARSOFT AUDI and VOLKSWAGEN i908 Diagnostic & Code Reset Tool. 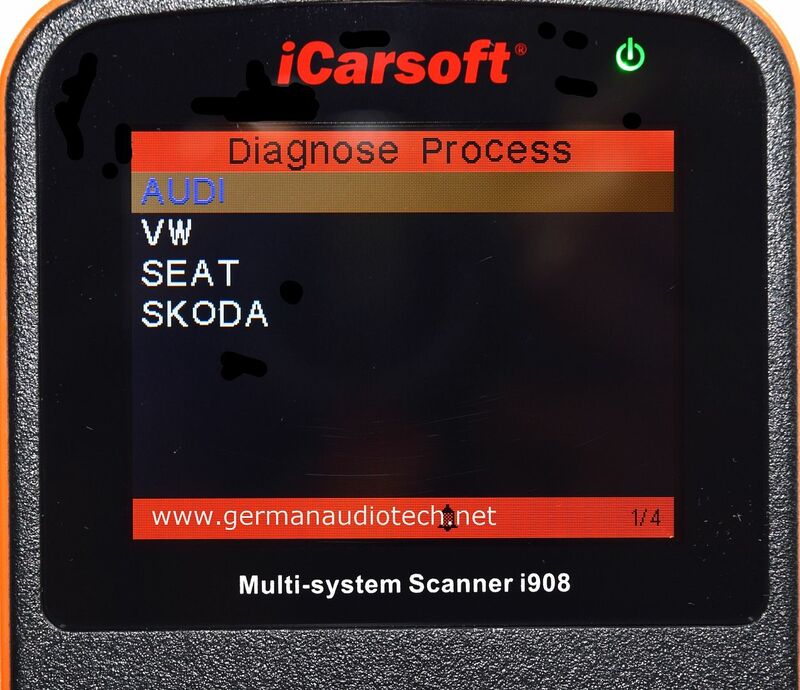 Will work on all 1996-2017 OBDII Volkswagen Models. This is a must-have device for all your code scanner, diagnostic, oil and fault reset needs!! With its great presentation and quality of design, it would make a great gift. Device is Easy to use and Simply plugs into your vehicle's OBDII diagnostic port. Comes brand new with: Original packaging, Storage Bag, Adapter Cable to your computer, and Printed Instructions Guide. With this professional grade tool you can save that dreaded trip to the VW dealership, just to be charged a $100/hour+ 'diagnostic service fee'. Know what is wrong with your car prior to a visit to your mechanic, and possibly fix the problem easily yourself. You can clear faults with a simple press of a button! This is a professional grade, quality tool and comes with 24 hour international product support and online updatability. All International Buyers Welcome. PLEASE NOTE: If you are trying to determine if this tool will perform a specific task for your specific year and model VOLKSWAGEN, please CLICK HERE for PDF Guide.